I’ve never been fired from a job. Up until recently, I’ve kind of considered that a badge of honor. It meant that I was never bad enough at a job that someone couldn’t bear to keep me on, that I wasn’t hard to work with, or, let’s face it, that I wasn’t unlucky enough to be at a job that had to severely downsize. I’ve only failed hard once, and that was when I tried to sell knives. Kudos people who can make a living at that stuff. I couldn’t hack it. Recently, however, I’ve been listening to a lot of podcasts. Some of them have featured great speakers like Seth Godin, C.C. Chapman, and Mitch Joel, who’ve all talked about how much they’ve learned by failing. Have I failed myself by not failing? Have I not pushed myself far enough out of my comfort zone cocoon and simply made it too easy? These are the questions I’m stuck with at the moment. It’s easy to say “Find what you love and get paid to do it.” There’s very little out there that tells you how to find what you love to do, if you’re not exactly sure what that is. This is my boat. I have no idea what I love. Some people innately have a passion for something that drives them toward a goal. I just sort of move forward in a general, indistinct direction. I haven’t found that *spark* or that aha moment. I’ve been pretty apt at most jobs I’ve tried my hand at, and I’m a quick learner. You can’t really look those skills up on LinkedIn and narrow a job search, though. They’re skills that everyone wants from an employee, sure, but they’re not an interest. Not a passion. 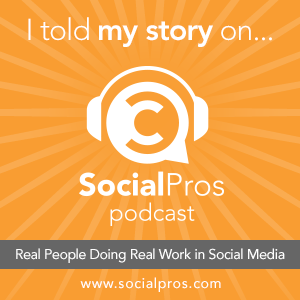 As a community manager, I love the social aspect of social media, but I’m not a numbers guy. Trying to calculate metrics and ROI and advertising dollars sort of makes my head spin. It makes me question my longevity in the industry of social media as businesses continually want proof that this will bring money in the door, and community managers become more intwined with marketing manager roles. A different way to look at failure. So I think I’m going to try things, and if I fail, I fail. They don’t have to be big things. Maybe a blog post that I just want to throw out into the word will fail. Maybe acting on an idea to see if it sinks or swims. 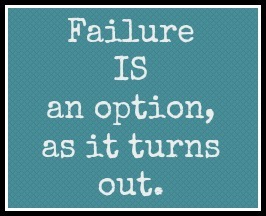 Failures that move us forward, I think, don’t have to be large, life-altering fails. Just something to help us make forward progress. I guess I’m understanding that we have to give ourselves permission. And that’s hard. As Chris Brogan said in his short podcast I recently listened to, you just have to do it, and it doesn’t have to be perfect every time. So there you are. Be imperfect. Go fail. I guess we’ll all be better for it. Let’s discuss how this works out for us respectively, ok? What about you? Have you had some failures that have made you better? Are you struggling to find our aha moment? Share your perspective below. Sometimes, you have to blog naked. Nope, I didn’t stutter. You heard me right. Sometimes, you simply have to blog naked. Let me explain. I’ve been blogging for just over a year now. Each post is not only an opportunity to share the things I know and am interested in, but also opportunities to learn and grow as a blogger. Some of my posts are carefully crafted, pined over for weeks of adding notes into Evernote or saving and resaving as drafts. 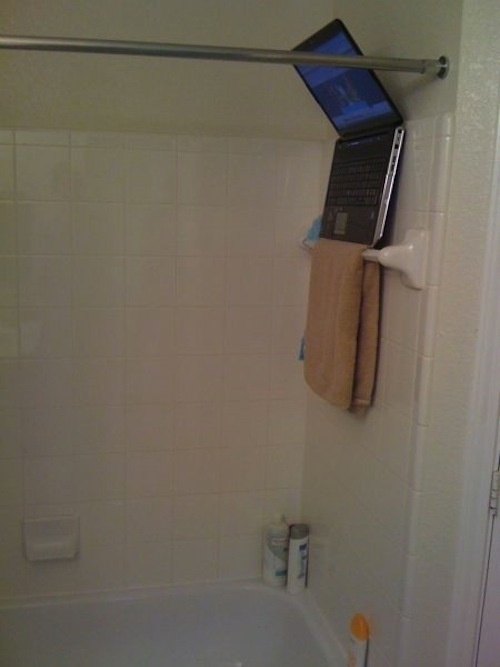 Some post ideas come to me in the shower, and I’ve literally sat down at my computer still wrapped in a towel to get my ideas down before they leave me. That’s kind of the idea behind this post. I don’t recommend this method. At all. Not all your ideas have to be carefully crafted. Many of my most successful blog posts have been rather off-the-cuff, and written more in the moment. An idea strikes me, or is really timely, so I just get it in a format I feel good about and send it on to the world. Maybe that will work for you, and maybe it won’t. When an idea hits you, however—act on it. Waiting until later may reduce the salience of your idea, or potentially have it lost altogether. I highly recommend some sort of idea-saving tool like Evernote, or even just your portable device’s notepad feature (most have them). I’ve even considered putting a dry erase board in my shower, so I can jot down ideas when they come to me in the shower (as they so often do!). So yes, sometimes you have to blog naked to make sure that your ideas are getting out into the world. Go do it! Do you have a recommendation on an app or method that works for you? Share you thoughts and ideas with a comment below! Author robziePosted on April 3, 2013 April 4, 2013 Categories Blogging, Social MediaTags aggregator, announcements, blog, blogging, blogs, Google reader, interactive, line breaks, rss, social media, sxsw, TwitterLeave a comment on Sometimes, you have to blog naked. SXSW announcments galore, major changes to the things you know and love–ladies and gentlemen, the internet is out of control this week. First off, I had an awesome SXSWi experience. I met some awesome folks and I’ll be writing a blog post about that soon. If you haven’t heard already, Google has announced that it’s getting rid of Google Reader. It’s not worth their resources anymore, so you have until July 1st to get it together and aggregate elsewhere. For the full story, click below. OH, and then Facebook was all like “Hey guys, what about me? I’ll start working on allowing hashtags!” The internet is no longer as we knew it. What do you think about these two developments in social media? 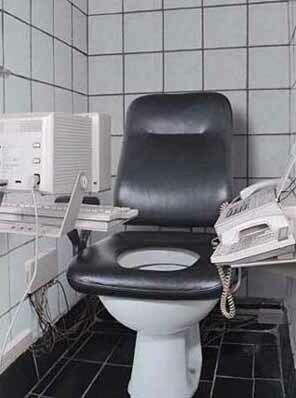 Has this week completely disrupted your work flow, or could you care less. Share you thoughts with a comment below! For a while, I lost my mojo. I became disillusioned with the overwhelming feeling that I couldn’t keep up with blogging, social networking and my job, and I didn’t think blogging was getting me anywhere. I didn’t think anyone cared, wasn’t sure if anyone was reading and I felt like I was just pumping out my content to no one. So, I stopped. I haven’t written a blog post for weeks. I wanted to, but then I would just get flustered and tell myself that it didn’t matter anyway. I considered deleting my blog, but I didn’t. I’m glad that I didn’t. I received a comment out of the blue this week on a post I did a couple months ago. It was an engaging comment and in the end the person thanked me for writing the post. This small gesture reminded me why I blog. I don’t do it for constant comments, retweets on Twitter or raving fans. I do it so I can connect with people who are interested in the same things I am. I do it to share information with those who are seeking it. The glory of the internet is that posts just float out there, and can show up again when people are looking for them. I sometimes look at the big names in blogging, the social media pros, and I wonder how the hell they have time to still have a life. I realized it’s because they don’t try to do everything. They focus on the things that are most important to them, keep the peripheral in mind without completely fragmenting their focus, and thus are able to have time to do other things. I’ve wanted to be so “engaged” that my focus has been in too many directions. I haven’t been able to give anything enough attention, because I was trying to focus on everything. 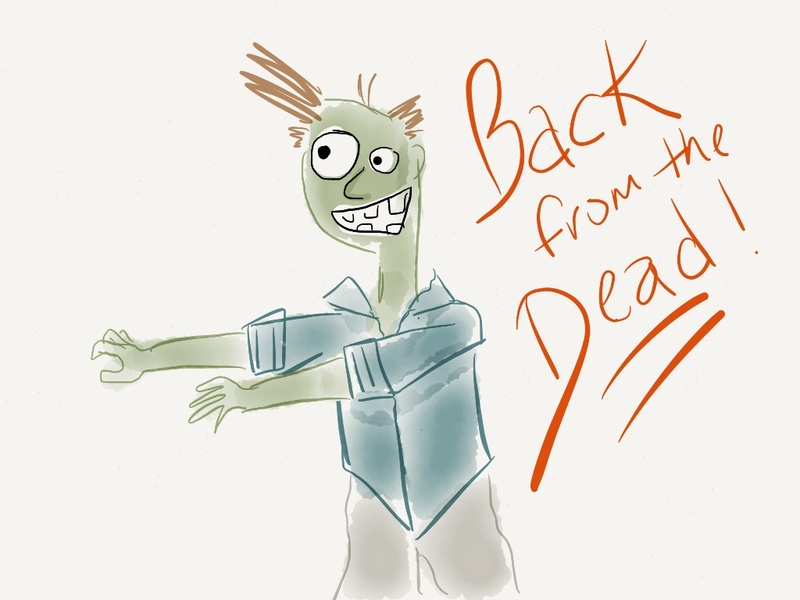 And so, just in time for Halloween, I’m coming back from the dead. The horror! The humanity! The blogging! Also, I’m currently reading a pre-published copy of Chris Brogan and Julien Smith’s “The Impact Equation” (affiliate link) and I’m already telling you to pick it up when it hits on 10/25. You’ll love it, and be inspired by it. These guys are no b.s. about how to make an impact, and it’s not the same old crap you hear everywhere else. How do you keep your social media mojo going? 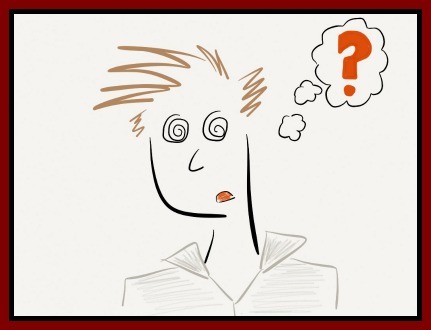 What inspires you to blog, even if you’re not getting the engagement you wish you were? What are your thoughts on Twitter outreach? Have you been reached out to or poached successfully? What did the person do that worked, or didn’t? Do you have any more tips to add? Let me know below with your comments. Thanks for reading. Now go get your social on! Follow this blog on Google Currents! Download the app in your app store or marketplace and click here to subscribe. As many of you have probably heard or seen, LinkedIn announced that it is giving profiles a facelift and working on making the site better equipped for social interaction. This surely is in part due to the split from Twitter. If you haven’t seen the changes on your profile and mobile apps already, you will soon. It’s cleaner, clearer and an undeniable upgrade. Here is a great article outlining some of the major changes and discussing how they may effect you. Perhaps it’s time to spruce things up a bit on your profile. While checking out my shiny new page, I noticed that LinkedIn is focusing even more on the important stuff. As you scroll down my page, you see my summary, experience, publications, and projects. In that order. This means that as people are viewing your previous experience, they are likely to see your Projects too. Are you using this great, but highly undervalued feature on LinkedIn? I’ve included a video below explaining how to add one, and the great benefits that come along with creating Projects (like strengthening and increasing your connections). I guest posted about this on Entrepreneur Magazine columnist Starr Hall’s blog a couple months ago, but I feel it bears mentioning again. What are your thoughts on this feature? What do you think of LinkedIn’s new profile pages? Do you have any speculation as to what’s coming next for the professional network? Let me know below with your comments.